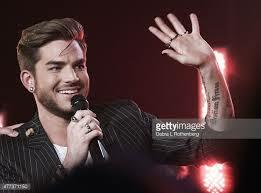 You are here: Home / Tours and Live Performances / 2015 The Original High / Adam Lambert Performs Songs From The Original High at iHeart Theater! Adam Lambert gave a stunning concert yesterday, the release day of The Original High. All but one song was from the new album, and he was thoroughly entertaining. He answered a slew of questions, joked around, gave more insight to the album, and proved why so many fans adore him. Thank you so much, Carol. This made my night! What can we do to get his sales figures up….I’ve been tweeting and doing my best. I want Adam to do well. This is a really great album and he does so well singing live with these songs. Sorry, I’m going off topic from your statement. I did my part as a fan and bought 2 CD’s; 1 is the deluxe edition with 3 bonus tracks (explicit); the other is the standard edition. I wasn’t planning on doing that until I realized that I like “Ghost Town” with ‘damn’ in it, instead of the “F” word. Funny thing is, I love “Another Loney Night”, and it sounds better with the “F” word. Go figure, so I bought both. I’ve listened to the entire album 5 times already (my commute is 2 hours round trip), so it plays in my car nice and loud. The weakest track in my opinion is “Rumors”, followed by “After Hours” and “These Boys”, but like every album he releases, I don’t skip anything. If/when he sings these songs live, he always manages to make me like it because he puts a different spin on everything, no 2 performances are the same. Classis example – “Aftermath” from his first album, I didn’t like so much. He sings it differently on the Glam Nation CD and I love it now. So basically the weakest links become strong due to this amazing man and unbelievable vocals. Love him. He’s amazing that way, right? When he sings live he makes me love the songs more too! Thanks once again Carol…you always let us know what’s going on. I will get my CD on Monday. Can’t wait to hear the whole thing….over and over and over again. I love Adam Lambert! I like this new music! Adam gets better and better! He has always been number 1 for me! Love you Adam! I pre ordered the album 2 x’s on ITunes and found out that pre orders don’t count on ITunes. I don’t like that. Adam means a lot to his fans and we do our best to help him. I also bought 2 more CD’s for family members. I hope I did my part. Love him! I hope I get to meet him some day. I wish I could have attended the IHeart Radio show, but am glad you have featured it on this website. I love his new song Ghost town and can hardly wait to buy the album. Absolutely beautiful performance as usual. This just made my day! Just a comment, “Ghost Town” was the best song on the new album. The rest of it is trash. No Adam heart and soul, just rubbish. If this is the best he can do now, I’ll just keep listening to the first albums he put out. What Happened????? I Love Adam Lambert as he was, not as he is now, solo??? He’s great with “Queen”, but let’s have more original Adam in the future. Praying he gets back to his roots.